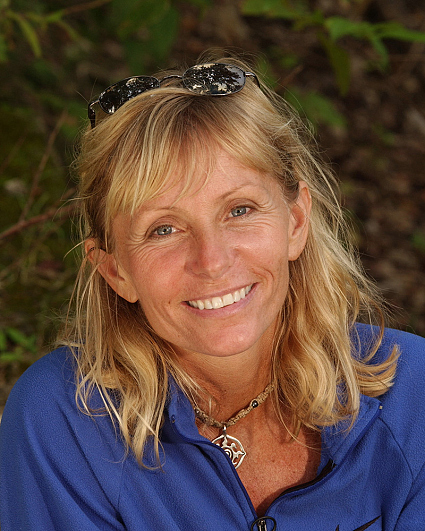 Since being declared Sole Survivor of SURVIVOR: THE AUSTRALIAN OUTBACK, Tina Wesson has been working as a motivational speaker, which has enabled her to travel around the country encouraging people to do whatever it takes in order to live a fulfilling life. She takes her motto, "It is a mistake to not live all you can!," very seriously. She previously worked as a private duty nurse, a community education director, flight attendant, substitute teacher and a swimming instructor. Tina obtained a Bachelor of Science degree in therapeutic recreation from the University of Tennessee in 1983. An avid athlete, she is most proud of having completed the Dublin, Ireland Marathon, as well as placing first in the Tennessee State Racquetball Tournament and in her age division in her hometown mini-triathlon, all in the same year (1998). Tina describes herself as happy, content, adventurous, outgoing and very much in love. Her favorite hobbies are racquetball, paddleball, running, swimming and motorcycling. Her favorite television show is SURVIVOR, while her favorite feature films are "Out of Africa" and "Shadowlands." She prefers contemporary Christian and pop rock music, citing Matchbox 20 and John Mayer as her favorite artists. While rooting for the University of Tennessee Volunteers and the Tennessee Titans, she's always game for a round of backgammon. Her perfect day consists of eating a good breakfast followed by a ride on her motorcycle to the mountains with her husband and her best friend. After a hike, she'd play racquetball, take a shower, have dinner, see a movie while eating a big bag of popcorn and then head home to bed. She's an early riser. Born and raised in Knoxville, Tennessee, Tina currently lives there with her husband, Dale, and her two children, Katie, 16 and Taylor, 15. She is a member of the Outstanding Young Women of America and the Fellowship of Christian Athletes. Her birth date is December 26, 1961.